Do you work or live in or near to Boulder? 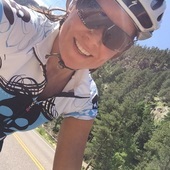 You're registering on Love to Ride Boulder, would you rather be registered on Love to Ride ? It's the same site, you'll just access more local information.